Technical principle-Jiangmen SciCorp Environmental Technology Co Ltd.
MNT, as a very environmentally friendly and eco-balanced technology, can stimulate the growth of microorganisms and improve the degradation efficiency of pollutants. 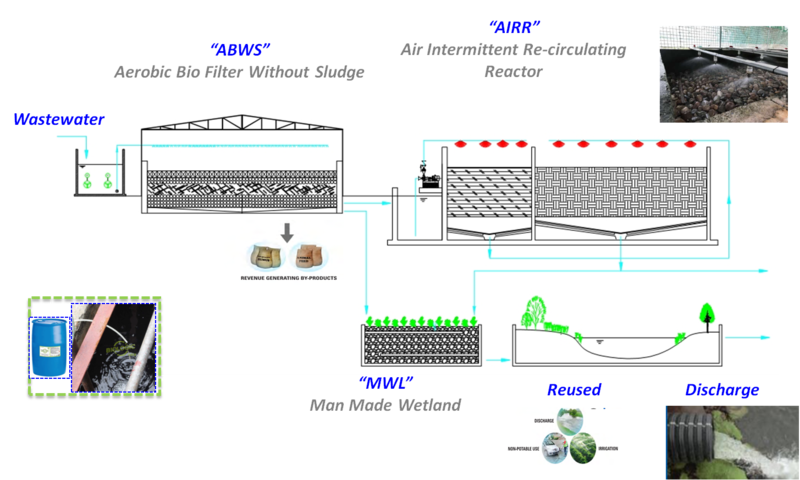 The sludge is absorbed and digested by specific microorganisms to avoid secondary pollution. The pollutants are further decomposed into stable and harmless substances, and the effluent can be reused for various purposes, such as toilet flushing, irrigation and landscape design.